There are only two passports at our house. They have both been renewed within the last two or three years. Before we leave our house for an overseas holiday, I ask Sarah if she has the passports. “Yes,” she proudly announces. Before they are packed, I MUST check that they are OUR passports (not someone else’s) and that they are still in date. It’s not a control thing. I’m not controlling in any way – I dislike the notion of anyone being controlled. It’s an OCD thing. When you have invested so much time, money and effort into one of the highlights of your year, you cannot leave anything to chance. “iPads?” (Even on holiday we love our gadgetry and technology). “SD cards?” Heaven forbid that we should run out of gigabytes in the middle of a snorkelling expedition! … and so it goes on. I have to physically set my eyes on each item. I can’t help it. When we go on our holidays we set so much importance on getting things right. You only have ONE chance. It’s not like missing the bus for work and having to wait for the next one. No passport – no holiday, and the airport is 150 miles from home. When we flew to the USA to do Route 66 last year, just by simply forgetting our driving licences, the whole three week adventure would have been destroyed. We may not have realised until our arrival at the car rental site. It doesn’t bear thinking about. Once satisfied that all is packed and that the car is loaded, we now have to leave the house. This could take some time. Every door, every window and every electrical item has to be checked and double checked that it is locked or switched off. “Don’t switch off the fridge…” she reminds me. One room at a time… close the door… onto the next one. “I haven’t been anywhere near it since you told me you locked it last night,” she replies. Off I trot, down the garden path. Yep. It’s locked. I’ve heard that the modems can catch fire, see. It’s all well and good having a lovely holiday, but if you return to the burned remains of your home it puts a bit of a damper on the experience. So we get into the car. Now for the double checks. Passports, tickets etc. It may all sound over the top, but I wouldn’t want to do it any other way. There are just so many things that can happen that could ruin your well-earned break. We pin all our hopes and dreams on this magical two-week period of our lives, when all the while just one important bolt can work loose and cause a wheel to fall off, sending us crashing into a ditch. Not for me. I will not be able to relax until we are literally sitting in the plane. Only at that point can I REALLY be certain that we are going. At this point I am very much in need of a holiday. Wouldn’t it be easier to stay at home? No. For me, foreign travel is worth every penny, every hour of labour and every moment of anxiety and uncertainty. Of course there is a possibility that things can go wrong, and we have had one holiday cancelled due to illness, so we have experience of this. Well, Sarah does. I was in a coma at the time. Maybe there will be more holidays that don’t turn out as planned. But for the most part, if you plan everything properly it will all work out. We have had some fabulous memories and unforgettable adventures. She knows how I’m going to behave each time we set out on holiday. It just goes with the territory now. She lets it go over her head. As we are two hours into our motorway journey to the airport, my body suddenly jars with tension and the realisation that we could be facing a holiday disaster. So much to say with so little time. 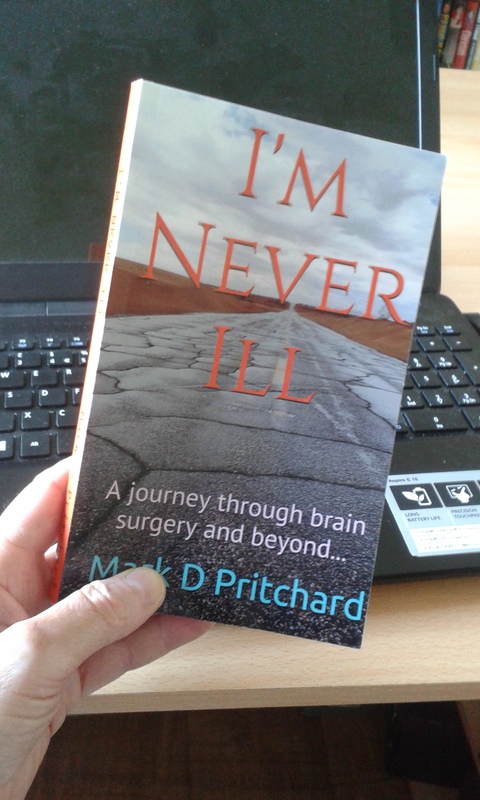 I’ve neglected my blog at the expense of finalising the production of my book in paperback form. There has been much involved that I’ve wanted to explain, but I’d set myself a deadline. We’re off on a Caribbean holiday later this week, and I didn’t want to go before completion of the book. Exhausted, stressed and in need of a holiday. Can’t wait until Thursday. Oh yeah… I’ll have to – it’s in the future. On the Beverly Hills tour, our bus driver told us that he and his wife were looking to move away from Los Angeles in anticipation of the “big one”. People say that California will one day fall into the sea. The predicted cataclysmic earthquake may cause mass destruction, but the western state is unlikely to break away from the mainland. Bit by bit, the shape of America will change, as do all of the continents, even though we will barely notice it during our tiny lifespans. There were “little ones” during our short stay at the end of our Route 66 adventure, although we didn’t feel any ourselves. The (approximately) £10,000 worth of platinum in my head creates its own version of seismic activity. I have experienced numerous large internal shifts of whatever it is that goes on – a medical mystery, according to one dismissive doctor who seemed to be trying to disguise his suspicion that it was all in my mind. The subsequent double vision that occurred was sufficient physical evidence to substantiate my knowledge that something is going on on the inside. Don’t get me wrong – it doesn’t bother me one bit. I’m delighted to be able to live a more or less normal life after such a close encounter with meeting my creator (or not, as is more likely to be the case). But day by day, with a greater frequency than the disturbance of a Californian seismograph’s needle, my own “little ones” occur, causing their own minor disturbances – more for other people than for me though, as they can’t get their own heads around the fact that it is normal for me and that it will never change. I’m totally happy with it as it is – that’s another thing that people can’t get their heads around. “You should go to the hospital and get it checked,” they say, concerned eyes looking over the tops of their glasses. It doesn’t work like that though. It is how I am and how I always will be. I will always, from time to time, suddenly jump and wince with pain, only to recover within a few seconds and carry on with life as if nothing had happened. My “big one” may happen one day. It doesn’t bother me. It’s not as if I could move out to escape it, like our Beverly Hills tour guide. Perhaps I should move to Los Angeles and wait to see which “big one” comes first. Now who would possibly be able to predict that one? I’d like to thank Jeri Burtchell for inviting me to write this article on the healthivibe website. It’s difficult to believe that both of the women in the pictures are the same person, but that is how chemotherapy can change people. We had a bit of a scare at the local hospital last week when we went for the results of Sarah’s mammogram. They told us that they had found something, and that they wanted to perform another mammogram. All the fears of two years ago came flowing back. We had visions of our lives being put on hold again. However, all turned out well and it was a false alarm. On the book side of things, I completed the proofing and reformatting of the interior this evening. It’s all uploaded and ready to go. I’m hoping that the next proof I receive will be the final one. We just need to sort out a photo for the back cover. We’re planning to do that on the weekend. The beautiful first copy of my book is now looking a little dog-eared as a result of my attempts to rid it of all formatting (and other) issues that I’ve needed to address. I’m slowly but surely reaching the final, finished product. In my endeavours I have learned quite a few things about Microsoft Word and some of the facilities it offers. I’ve also learned that formatting an e-book is a completely different game to formatting a proper hard copy book. It must be completed by the time Sarah and I go on our Caribbean holiday at the end of this month. When we go away I want to be in a position where I have nothing to do other than book promotion. On the personal, health side of things, Sarah has had the cancer all-clear again, and she has lost two and a half stones in weight since the beginning of this year. Now, when I give her a hug I can touch my elbows. I have had an article published on a Florida website called HealthiVibe – I’ll post a link later, but right now I have to sign off. SOOO many things to do.